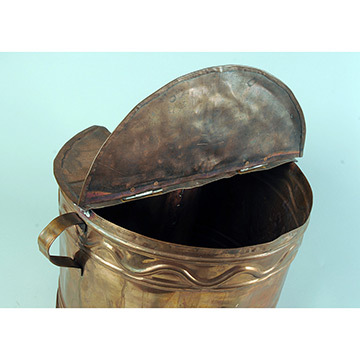 This handsome vessel fit around the chimney of a cookstove and provided the cook with a ready supply of hot water at the cooking surface. The half-lid flipped open to fit a ladle. 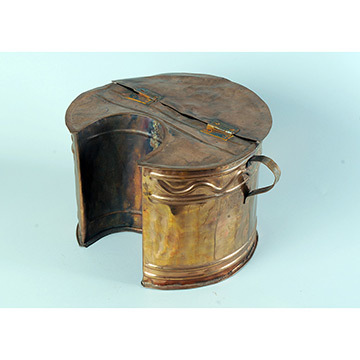 Note the handles, rivets, and folded edges of the handmade ornamental copper container.